Swap Ball is a new arcade mobile game that, like many others in this genre, is available for both Android and iOS devices. 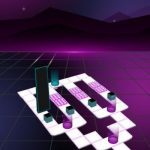 It can be best described as an endless bouncer with simple one-touch controls; the mechanics are as simple as bouncing from one side to the other. 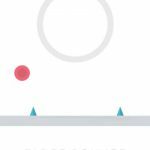 Tap and hold and you’ll change the ball’s color, and as you score more points, you will be able to unlock new balls, or characters. The game’s other key features include minimalist graphics, “colorful” themes, and as we said earlier, endless gameplay. 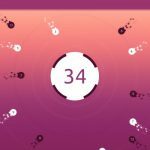 You will score points by swapping the ball’s color back and forth, matching the color of the barriers that you’re bouncing the ball at. Sounds easy, right? 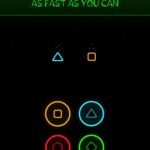 Yes it is, but mastering the game and outscoring the competition on the Play Store and Game Center can be quite a tough feat to accomplish. But read on and we shall be giving you some Swap Ball tips and tricks that can help you keep up, and, at the very least, beat your highest score. Although, the game is called Swap Ball and you start out bouncing a ball against a wall, you can buy other skins, thus changing the type of object you’re bouncing on the wall. Each “skin” costs 500 gold each, so go ahead and buy a couple (or buy them all eventually) so you can break the monotony of using the same object all of the time. You earn one piece of gold per point scored in a round; that could add up quite fast! Yes, it is possible to earn gold coins faster, and you can do this by heading to the main menu after losing a round. Look out for the button that says “100 gold” with an accompanying video icon, and tap it; once you do, you will be able to watch an ad video for 100 gold per pop. The icon disappears the moment you’ve watched the video and collected the gold, but you can exit the game and restart it; there’s a good chance the button will reappear once you restart the game. This is a great way to earn money in a hurry; lose a round, watch a video, exit the game, and restart the game to start the process all over again. This isn’t like other casual games; once you score so many points in a round, the ball will begin to move faster. But once you reach about ten points, the ball will stop speeding up. You may need to practice long and hard, but once you reach the ten-point mark, you’re out of the woods and you can work on increasing your score without worry of things hurrying up. No game of Swap Ball is the same. That’s because the barriers are of a different shape each time you start a new game. Expect more bounces when the barriers are small, but expect to score more if that’s the case; also expect to have an easy go at things when the barriers are hexagon or octagon-shaped. These would be our tips and tricks for Swap Ball. If you happen to know other hints for this addicting endless arcade bouncer, please drop us a line!